It's a Spider-tacular adventure when Spider-Man is visited by his fellow web-slingers! What wall-crawling, web-swinging trouble will Peter Parker get into when he's joined by Anya Corazon, Miles Morales and Spider-Gwen? There's only one way to find out! Power is a great responsibility - but it's a weight more easily carried with others! Being a Friendly Neighborhood Spider-Man isn't all hanging out with your pals, though - there are also fearsome foes to deal with! 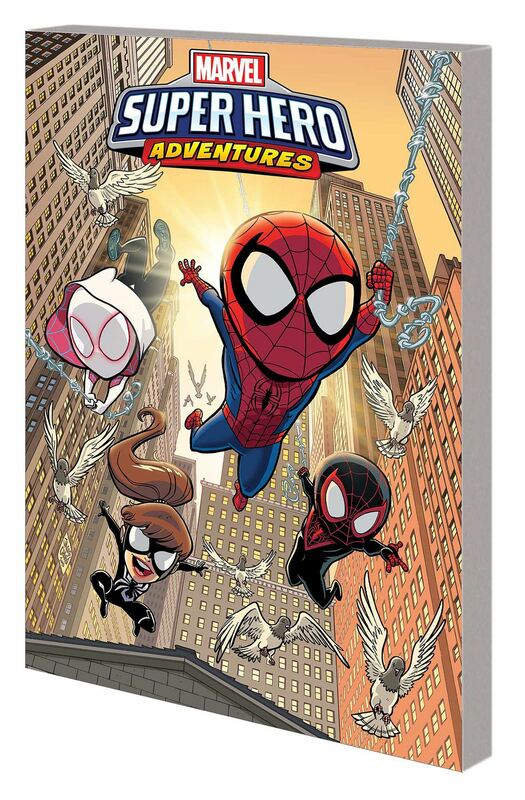 But whether Spidey's slinging jokes or slinging webs, he's sure to bring a smile to the faces of readers of all ages! It's hijinks, hilarity and heroism with all your favorite Spider-People!